STONINGTON, Maine — A Sedgwick fisherman is facing criminal charges and a possible three-year suspension of his lobster license because of a violent ocean confrontation last fall in which he allegedly rammed another fisherman’s boat, shot off a flare gun and intentionally broke a line on one of that fisherman’s traps. Carl W. Gray, 41, is facing a civil charge of tampering with another fisherman’s gear and three criminal charges associated with the Oct. 5 incident. He has been charged with operating a watercraft to endanger and theft by unauthorized taking, both Class E misdemeanors, and a Class C felony charge of reckless conduct with a dangerous weapon, according to court documents filed in Ellsworth. A Maine Department of Marine Resources hearing on the civil tampering charge was held Feb. 24 at the Hancock County Courthouse so Gray could make his case about why the proposed three-year suspension, which has yet to go into effect, should not be imposed. At the hearing, a former Marine Patrol officer who responded to the incident recapped the alleged events. Owen Reed, who works as a Maine State Police trooper, told Susan Cole, the DMR officer conducting the hearing, that he was contacted Oct. 5, 2015, by a third party and told that brothers Caleb Heanssler and Zachary Heanssler had gotten into an altercation with Gray several miles out to sea from Stonington. According to Reed, the brothers told him that during the altercation, Gray tried to ram Caleb Heanssler’s boat, that Gray recklessly shot off a flare and that Gray intentionally broke a line to one of Zachary Heanssler’s traps by attaching it to his boat and gunning his engine. Reed also said a sternman working Caleb Heanssler’s boat recorded a video on his cellphone of the altercation, which showed Gray attempting to break one of Zachary Heanssler’s fishing lines. Jeff Nichols, spokesman for DMR, said Friday that the department has not yet made a final decision on the proposed three-year suspension for Gray and that the agency is not taking action against the Heansslers. Gray also appeared in court this past week for a dispositional hearing about his criminal case, but his defense attorney, Jason Barrett, and prosecutors told the judge they were still hoping to reach an agreement that would resolve the case without a trial. Barrett did not return a voicemail message left at his office Friday morning. Court documents show Barrett filed a motion in January to amend his client’s bail conditions so Gray may be allowed to legally possess pepper spray. Since the incident last fall, Gray has received multiple threats of violence, Barrett wrote, and Gray is concerned about his safety and that of his family. “Law enforcement has been made aware of some of the threats,” the defense attorney indicated. It was unclear Friday if the alleged threats are being investigated or if anyone has been charged with making them. No charges have been filed against the Heansslers in Hancock County Unified Criminal Court, according to staff at the court clerk’s office. In his filing in support of the bail change, Barrett stated Gray’s health has been poor since early January, when he accidentally ingested ethylene glycol while working on his boat. The chemical “can cause rapid death by acute kidney failure if untreated,” Gray’s defense attorney, Jason Barrett, wrote in court documents. 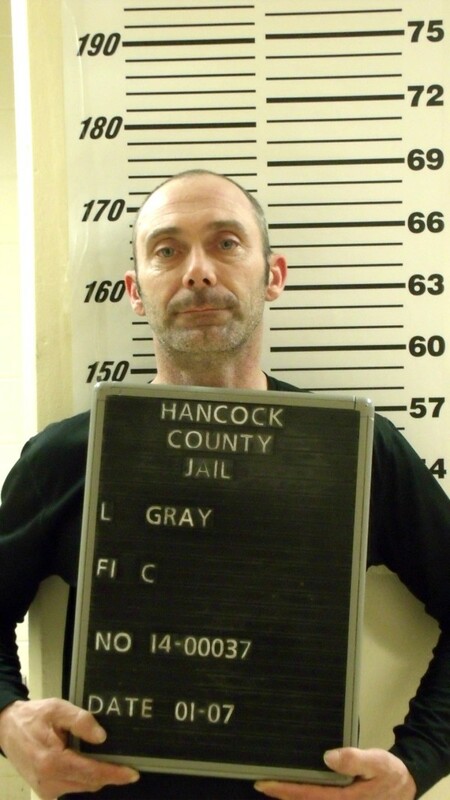 Gray sought immediate medical treatment and was flown by LifeFlight helicopter to a Bangor hospital, Barrett added. “[Gray] suffered severe kidney damage and remains very limited as to mobility and exertion and if confronted would not be able to defend [himself] or escape to safety,” his defense attorney wrote. Justice Bruce Mallonee approved the motion in January, allowing Gray to carry pepper spray. Gray next is expected to appear in court again on May 21.